During the height of the aid boom, back in 2012, my then-colleague Ben Reilly complained that Australia was spending too much on aid and not enough on defence. 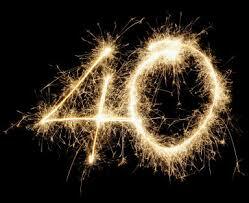 We were on our way, Ben complained, to becoming an “aid powerhouse” and a “military minnow”. How times change. 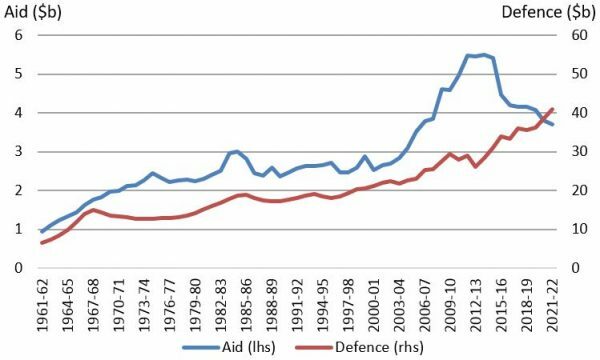 As the graph below shows, we are now on track to hit a record high defence-to-aid ratio. We have already increased that ratio from $6 on defence to every one for aid back in 2012 (when Ben was complaining about it, and when it was at a historical low) to $8.60 last year, the third highest ever. If the budget projections are followed through with, in 2020 the ratio will reach ten-to-one, and it will keep climbing. In 2012, we were the 11th most committed OECD defence spender (measured in terms of defence-to-GDP), and the 13th most generous aid donor (aid-to-GNI). We are now the seventh most committed defence spender, but only the 19th most generous aid donor. It’s embarrassing. In dollar terms, aid and defence have been going in very different directions for the last five years. 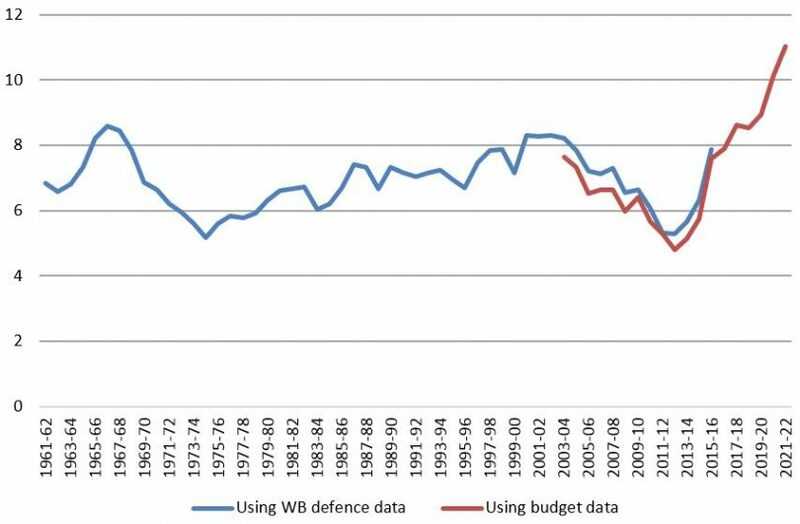 Adjusting for inflation, the defence budget has grown by one-third over this period; the aid budget has been cut by one-quarter. We certainly live in uncertain times, and I am not a defence expert, but it is hard to see the basis for the rush to increase defence spending. It seems right to measure aid generosity as a percentage of national output or income, and to want to increase or at least maintain that ratio: the richer we are, the more we can afford to give. But there is no automatic reason why defence spending should increase over time. The costs of defence don’t rise as the economy grows. We are in fact now spending twice as much on defence as we did at the height of the Cold War, adjusted for inflation. Why spend so much more? Perhaps the costs of weaponry have gone up. But military risks have surely decreased since the Cold War. 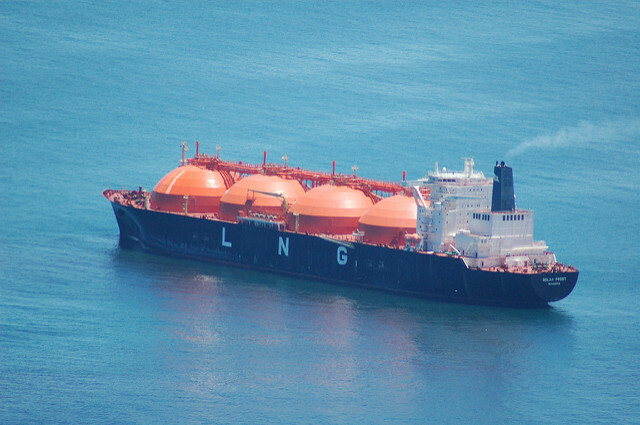 It is unreasonable to suggest that China or Indonesia – the two most cited potential threats – have or would ever have territorial ambitions in relation to Australia. The effectiveness of defence spending is also highly questionable. Hugh White, who supports higher defence spending, has nevertheless admitted: “We waste a lot of money in defence in ways large and small, but the biggest drain of all is the billions spent on capabilities we do not need.” I wish defence spending was subject to the systems of fraud control, performance monitoring and independent evaluation constructed around our aid program. Whether or not you accept this argument, the aid-defence comparison is interesting. For the decade prior to Whitlam, we spent big on both aid and defence; Whitlam prioritised aid; Fraser defence ; Hawke and Keating were stingy on both; Howard equally generous. 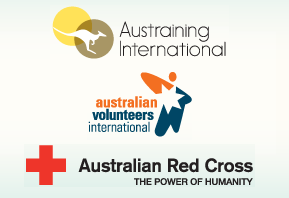 Under Rudd/Gillard, aid became more of a priority, and defence was de-prioritised, exactly as Ben Reilly complained. But under Abbott and Turnbull that has all been more than reversed. Clearly the Rudd aid increases were unsustainable and, due to pressure from Trump, countries cannot avoid spending much less than 2% of GNI on defence. But a return to the pre-Rudd era of slower increases in defence spending, accompanied by modest increases in foreign aid sounds to me both a realistic aspiration and sound public policy. 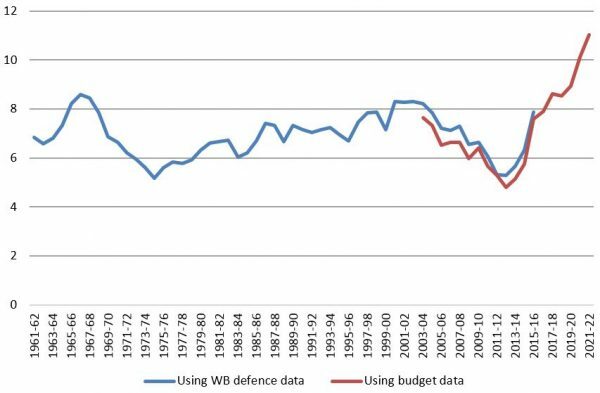 Defence spending is taken from budget documents from 2003-04 onwards; this is supplemented by data in the earlier years from the World Bank World Development Indicators, also used for the OECD defence/GDP comparisons. Aid, expenditure, GNI and aid/GNI comparisons from the Aid Tracker. Data for the graphs here (see “aid-defence” tab). Since publication, a typo in the final paragraph has been corrected. An additional clarification is that prime ministerial starting and ending points are by referencing to the first budget they inherited (the starting point) and the last budget they brought down (the ending point). This is a very useful piece, especially its data presentation. 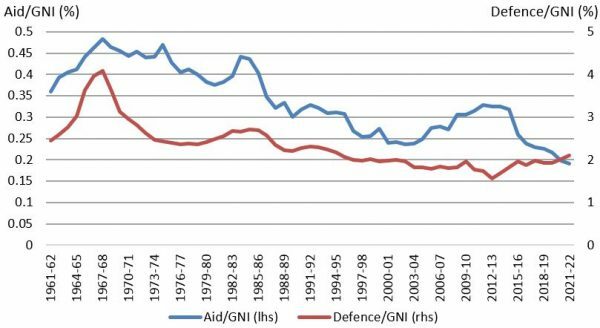 The second graph, entitled “Aid and defence spending ($ billion, 2018 prices)“ highlights the aid bubble of the Rudd years, which has since receded as the aid budget has been slashed. This bubble was the topic of my critique which Stephen cites, but it was not just about the aid/military spending ratio. 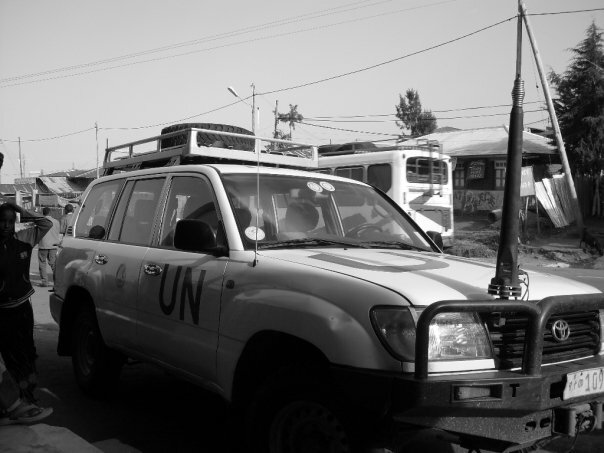 My concern was also that the huge upscaling of aid in this bubble period meant that some of it was being spent unwisely, a concern shared by at least some of the bureaucrats who were tasked with finding new ways to push the money out the door. The irony is that in many ways Defence has now supplanted AusAid as a funding source for all manner of tangential projects, including in academic centres, think tanks and research grant. And just as the aid bubble was driven by arbitrary targets to spend eg 0.5% of GDP, now Defence is struggling to hit its 2.0%. We would however have to spend much more than that if Trump’s nativist agenda sees a turn towards military isolationism from the US. I think Stephen is a bit too sanguine about that. And that’s just defence spending. The picture is even more extreme when domestic “security” expenditure is included.